Ford announced that its first half total vehicle and passenger car sales in Europe were the best the company has seen since 2010, and that its commercial sales were the highest they have been since 1993. 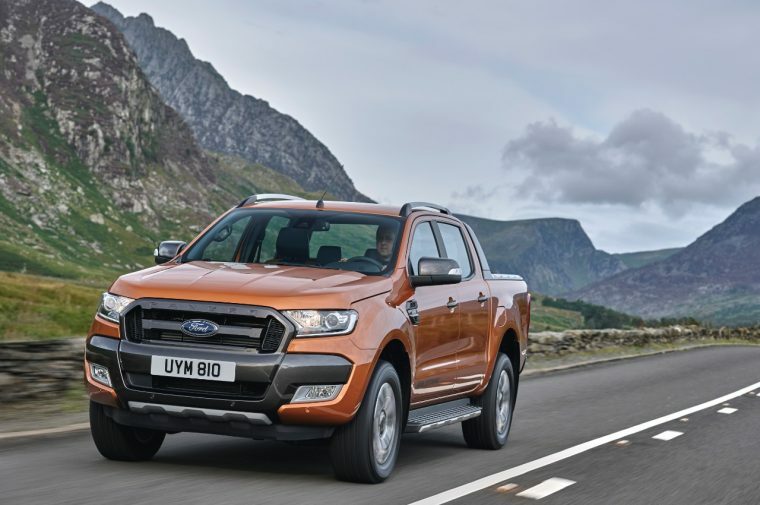 Ford’s sales in the Euro 20 (Austria, Belgium, Britain, Czech Republic, Denmark, Finland, France, Germany, Greece, Hungary, Ireland, Italy, Netherlands, Norway, Poland, Portugal, Spain, Romania, Sweden, and Switzerland) through the month of June were up 7.5% at a total of 718,700 vehicles. Ford claimed a market share of 7.9% across those 20 markets. Ford’s sales total 792,800 when including first-half sales in Turkey and Russia, an improvement of 7.2% year-over-year. Expanding to the Euro 50 (the aforementioned 22 markets plus Albania, Andorra, Armenia, Azerbaijan, Belarus, Bosnia-Herzegovina, Bulgaria, Croatia, Cyprus, Estonia, Georgia, Gibraltar, Kazakhstan, Kyrgysztan, Kosovo, Latvia, Lithuania, Macedonia, Malta, Moldova, Montenegro, Serbia, Slovakia, Slovenia, Tajikistan, Turkmenistan, Ukraine, and Uzbekistan), sales were up 7.1% at 807,500 vehicles. Ford was the number one commercial brand in both the Euro 20 and Euro 22 for the first six months with sales up 17% at 162,500 vehicles. Ford controls a 13% market share, up 0.6 percentage points from its share in the first six months of 2015. Sales of the Transit were up 20% year-over-year through six months, while sales of the Ranger were up 39% to set its best first-half since 1998. Other highlights include best-ever first-half sales for the Kuga at 63,100 units, a 64% increase for the EcoSport at 30,100 vehicles sold through June, and a combined 116% first-half increase for Ford Performance vehicles.